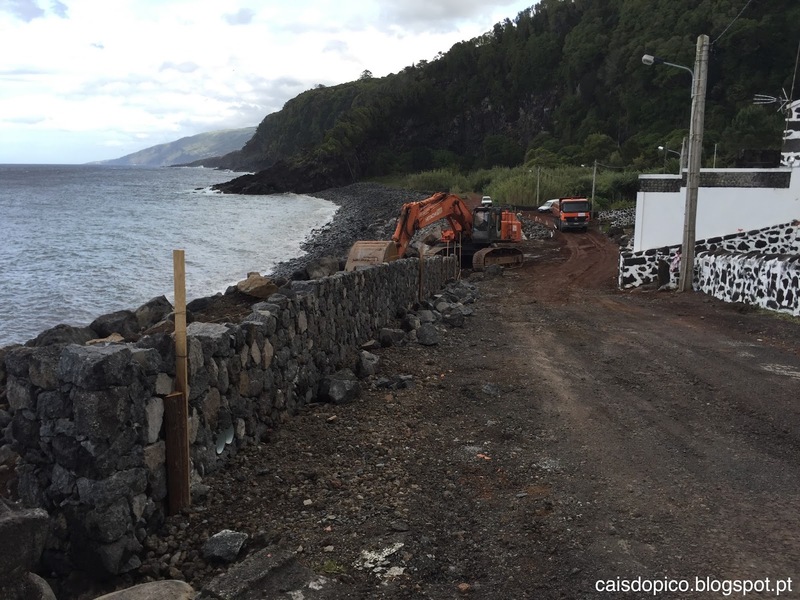 Apresentam-se de seguida algumas fotografias (datadas de 1 de abril de 2016) relativas ao andamento das obras de proteção da orla costeira da Baía de Canas, na freguesia da Prainha, concelho de São Roque do Pico [links para fotos mais antigas e para fotos mais recentes]. 1) The wall is too high to have a pleasant view of the sea. (unless they raise the road). 2) No steps are provided for people and tourists to get on top of it. 3)They failed to plan for steps opposite the paths where Tourists and adega owners come to the beach. 4)They failed to plan for sitting areas for adega Owners, bathers, visitors and tourists on top of the wall. 5) They did not make any steps for swimmers to get into the water, or even think about swimmers. This is a holiday village FFS! 6)They did not provide for any place where swimmers could put down towels and lie in the sun close to the water. They have essentially removed that facility. 7) At the start of the wall there is a gap but no path to the sea or to the top of the wall. 8) They did not think about parking areas for the adega owners. 9) They did not think about the anglers who fish at the start of the wall. I doubt these civil "Architects" even bothered to come and see the place, never mind consult us on what we want! 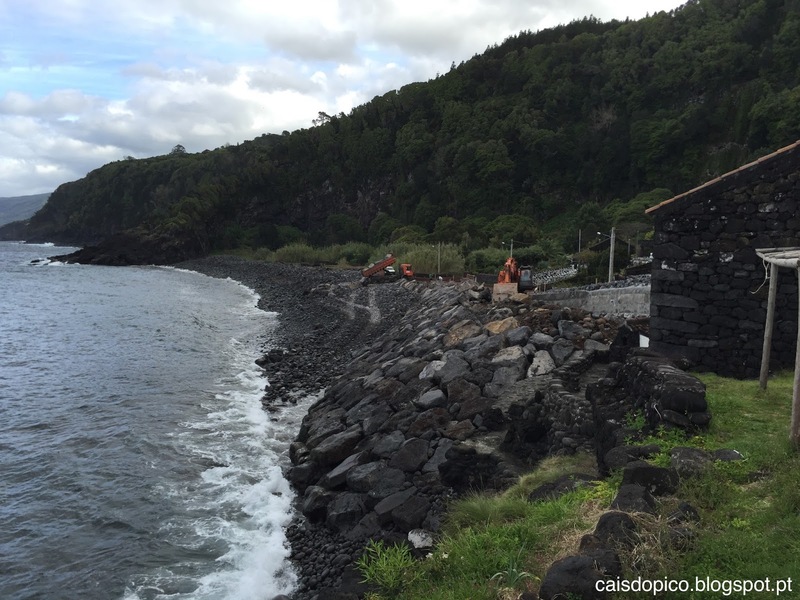 The design department in Ponta Delgada are totally unaccountable, incompetent, totally unimaginative, beyond control and our representatives appear impotent in the face of them.